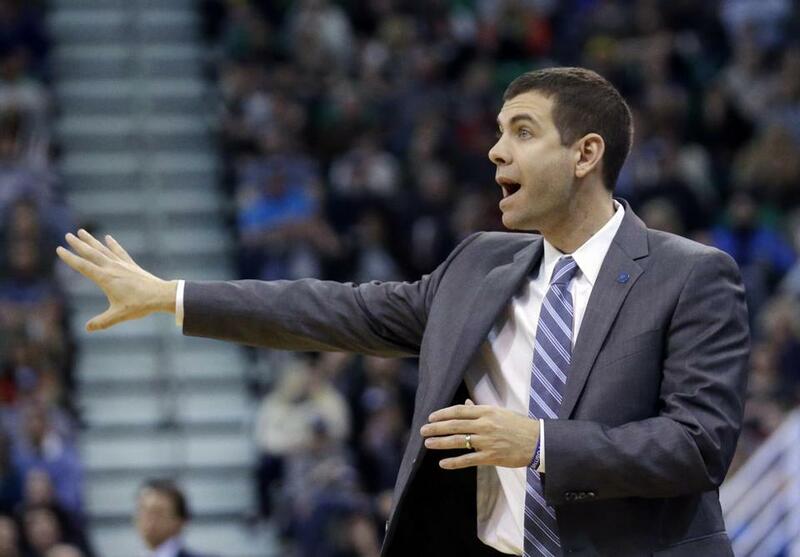 Brad Stevens would be successful in life regardless of his occupation, said one of Stevens’s former players at Butler, Gordon Hayward. SALT LAKE CITY — The Jazz’s acquisition of Shelvin Mack, who was not eligible to play in their win over the Celtics on Friday night and sat behind the Utah bench, prompted Brad Stevens to discuss the closeness of his Butler University family. Mack joins former college teammate Gordon Hayward as the Jazz try to make a playoff run. The local media, knowing Stevens’s familiarity with Mack as well as his bond with Hayward, wanted an insider’s view of Mack’s potential impact. Butler lost a valued member of its family when Andrew Smith, a key contributor on both Final Four teams, died from cancer on Jan. 12. A distraught Stevens missed a game to be at Smith’s bedside during his final days and then delivered the eulogy at Smith’s funeral. Hayward was moved by Stevens’s passion for Butler that remains strong. During the All-Star break, Stevens traveled back to Indianapolis to attend the Xavier-Butler game, and he still follows the program closely. “When you’re recruited to Butler and you go to Butler, he talks about it being a family, and not just while you’re there, a family forever,” Hayward said.